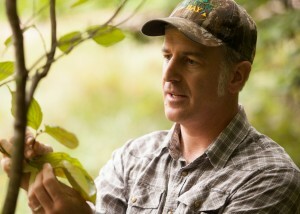 Home/Conserving Chesapeake Forests, Forests for the Bay, News, Staff Blog/The FIDS are Alright? If you work in the field of forestry, conservation and natural resources you tend to speak a language infused in acronyms. An acronym that seems to have broad appeal and interest is FIDS. FIDS, which translates to Forest Interior Dwelling (or Dependent) Species, is a term first derived by avian ecologists to classify bird species with habitat preferences deep in large contiguous forest blocks at least 300 feet from the forest’s edge. Our eastern deciduous forests provide ideal habitat to FIDS. Maryland forests alone supports twenty-five bird species that are FIDS. 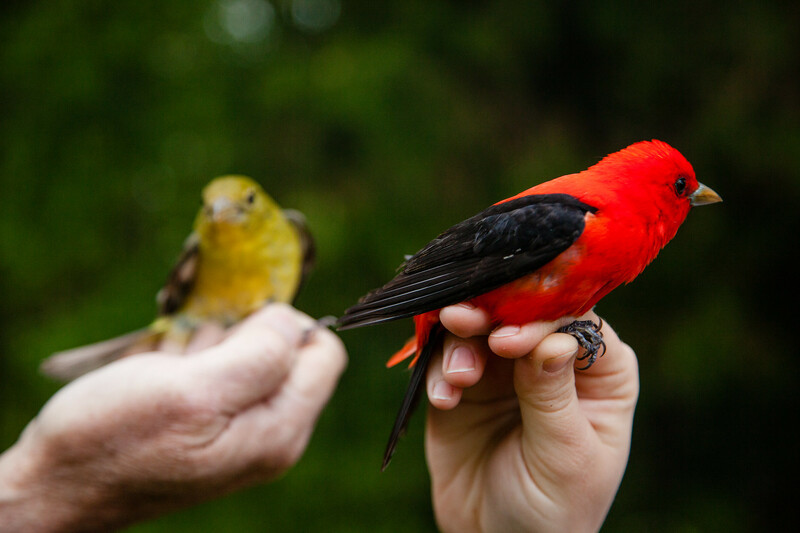 Most of them are neo-tropical migrants that fly south for the winter like the scarlet tanagers and wood thrush. A few species stay in the region migrating only short distances like red shouldered hawks or not at all like pileated woodpeckers and barred owls. These FIDS can drastically differ in their feeding and nesting habits, but they all prefer the unique environment in the interior of mature hardwood forests, which tends to have a moister climate and a more complex vegetative structure than the forest edge. Nesting and breeding in the interior shield these species from direct resource competition with more generalist edge birds like American robins, northern cardinals, European starlings and red tailed hawks. It also diminishes other brood disrupting threats like the nest parasite brown headed cowbird or nest predators like black rat snakes, blue jays and domestic cats. Edge species fulfill their habitat needs from the forest edge and the adjacent non-forested landscapes such as pasture, agricultural fields and suburban lawns and typically do not need to venture to the interior forests. Owning a woodlot with quality FIDS habitat is exceptional in our region since a vast amount of our forestland is fragmented and in parcels smaller than 50 acres. Conserving FIDS habitat, however, is not necessarily at odds with a landowners’ goal to harvest timber. Silvicultural practices are often used to enhance wildlife habitat. For instance, timber harvest is essential for creating early successional habitat for bird species like golden winged warbler and Bobwhite quail. 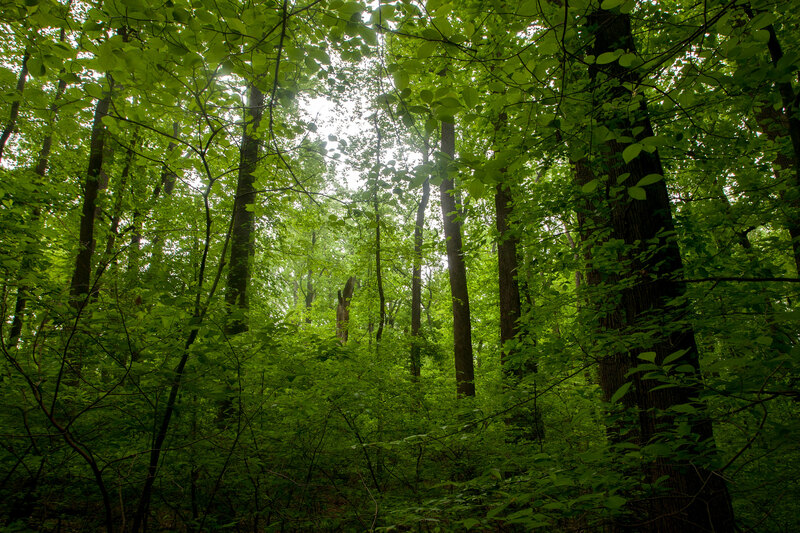 A cross section of agencies at Maryland DNR developed regulations for harvesting timber in FIDS habitat in the Critical Area that has voluntarily been implemented by landowners and forestry professionals on harvests outside of the Critical Area and throughout the bay watershed. These guidelines take into consideration the size of the wooded parcel, type of forest, location of the harvest and other forest conditions. For instance, maintaining canopy closure of at least 70% is necessary to maintain FIDS habitat. Implementing a single tree cut (selection cut) outside of the nesting season (April – July) is a viable method to accomplish both goals. A larger group selection cut may be appropriate for harvesting within the 300 foot edge of the woodland. Implementing other forestry practices like vegetative management, timber stand improvement (forest thinning) and afforestation are often essential to improving overall forest health and maintaining and expanding quality FIDS habitat. We highly recommend that any timber harvest or forestry practice be implemented under the guidance of a Forest Stewardship Plan and consultation with a licensed professional forester. If you want to know if FIDS inhabit your woodlot, learn to recognize some calls of our region’s population, like the fluting call of the wood thrush or the cheery call of the red eyed vireo, and then get out into your woods this season. They’ll let you know if they like it.